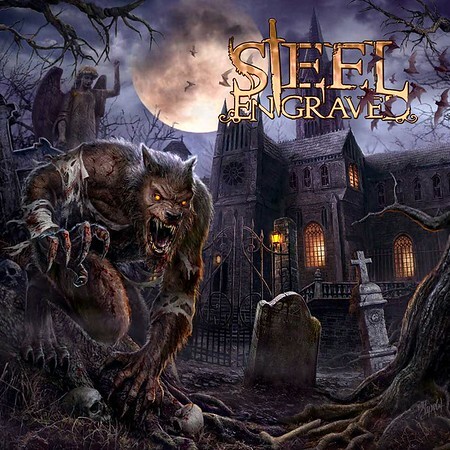 German metal band Steel Engraved released their self-titled third album though Rock of Angels Records (ROAR) on 25th January. The band have been around for more than ten years and the decision to release a self-titled album now reflected a new sound, new line-up and new label. The album includes some guest vocals from Primal Fear frontman Ralf Scheepers, who was also responsible for vocal production. The track “Rebellion” was included on the Friday NI Rocks Show on 25th January. Steel Engraved formed in 2006 (initially as Stainless Steel until 2007) and released their debut album “State of Siege” in 2009. That was followed by “On High Wings We Fly” in 2012. There have been a number of changes of drummer and bass player over the years and more recently a change of guitarist. With a new line-up in place the band once again focused on album number three. The Steel Engraved line-up features founding members Marco Schober on vocals and guitarist Andy Straehler. In addition there is guitarist Tomas Kuchta, bass player Katharina Praml, drummer Jaroslav Rod and keyboard player Max Lindner. Primal Fear singer Ralf Scheepers provides guest vocals on the track “Searching For Regret”.